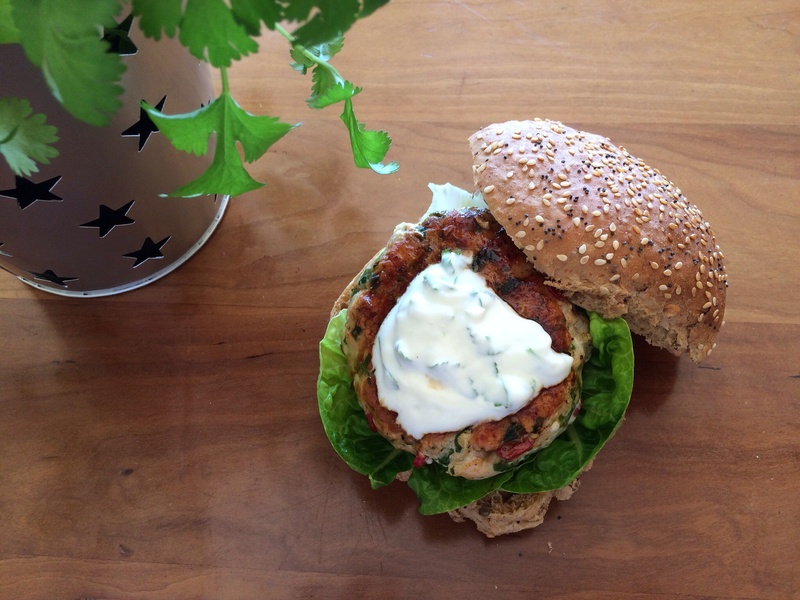 A home made chicken burger, a glass of white wine. Simple supper alfresco. What could be better! It’s easy to make your own chicken mince. Put your chicken in your blender and blitz to a rough consistency. You can add your own flavours to it – delicious! This recipe is for 1 so double up as necessary. So just for one, blitz a chicken breast (skin off, in the blender). Then chop very finely half your garlic clove, a spring onion, half a red chilli, and really finely slice a very small amount of fresh lemon grass, like half a centimetre. (If you can’t lay your hands on any don’t worry it will all still be good.) Put those ingredients into a bowl add lime zest, a tsp of fish sauce, some snipped up coriander. Mix. Form into a patty. Drizzle some olive oil into a frying pan. When it’s hot gently lay the burger patty into the pan over a moderate heat. After a minute very carefully turn the burger using a spatula. And continue to do so til the burger is cooked through (probably 12-15 minutes). 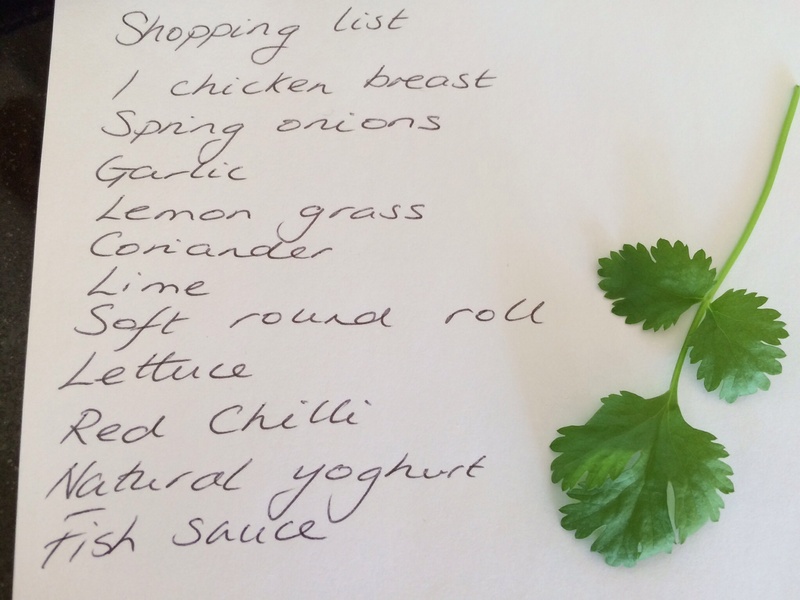 Make some yoghurt garnish using a spoonful of Greek yoghurt, a good squeeze of lime, the other half of the garlic clove (finely chopped) and some more snipped up coriander, some more finely snipped spring onion. 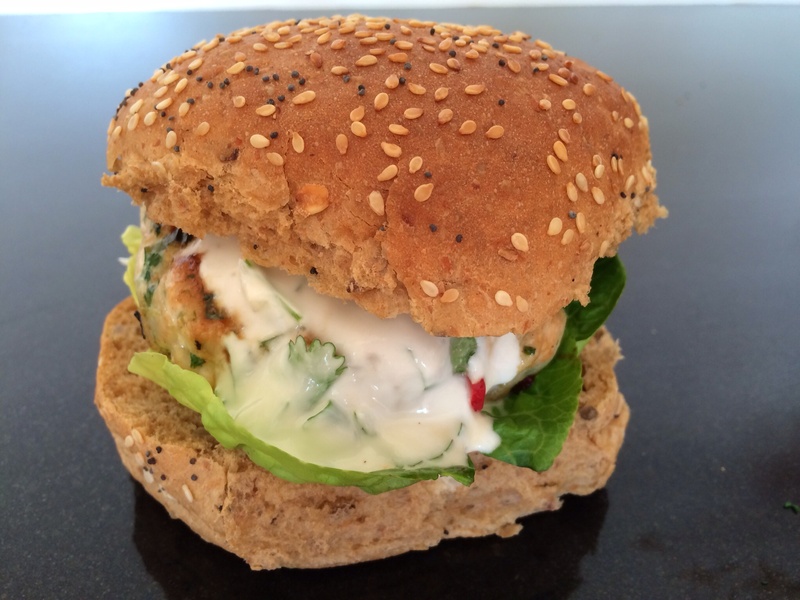 Cut a bread roll bun in half, add a couple of lettuce leaves, pop the burger on top and some of the yoghurt dressing. Add a little chilli sambal if you like. Delicious! ← Thameside lunch in the sun.